Wedding Ceremony - as well as organise the Greek civil ceremony, we help you choose the order of service, including your choice of music, readings as required, personal vows and exchange of rings. Assistance with paper work - we obtain all necessary licenses and take care of all the legal papers in Crete. We will attend the ceremony, translate the proceedings and see that all legal papers are in place for the issuing of the marriage certificate after the wedding. Arrangement of reception at Taverna, including live music as requested. We will hold a prewedding meeting with you to go over all details before the wedding; we will design with you a personal Order of Service, and attend not only your ceremony but also your reception (if we have organised this) to ensure all runs smoothly. We ensure the legalisation of your certificate and can organise the translation and postage to you within 30 working days of your wedding day. For information about our planning fee please email us. 10 42 E 60 61 00867 00 issued by the Greek National Tourist Organisation. We believe that all our couples deserve the best, which is why we have great contacts here in Crete offering the best photographers on the island; the best caterers, best florists and a wide range of classic and modern cars to drive the bride to her wedding. 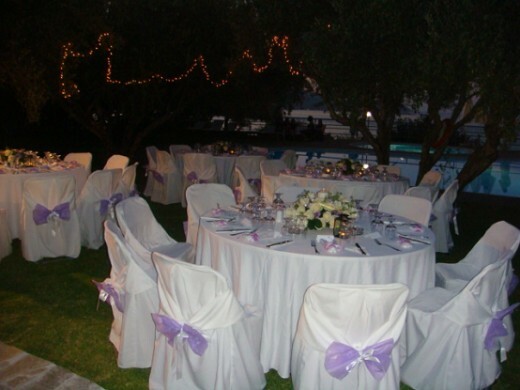 A wedding package is simple to find and book; Weddings in Crete however offers each couple individual choices on all aspects to their wedding, and we know the results speak for themselves! Planning a wedding abroad can be very stressful and not as easy as initially thought! As experienced wedding planners we think of all the little things that help bring a successful wedding together. If we plan your wedding day, we take care of all the arrangements and deal with all suppliers direct including payment of bills. This leaves you time to relax and enjoy your days in the sun before the wedding. Afterwards you can enjoy your honeymoon safe in the knowledge that you have nothing else to worry about. Our planning process will enable you to track costs all along the way, so there are no nasty surprises! 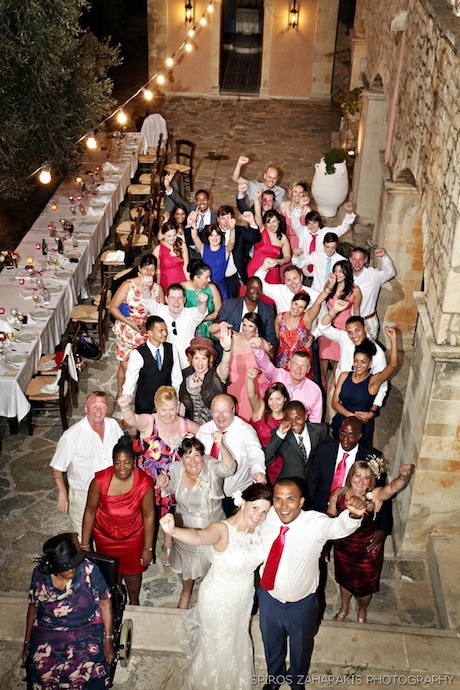 The process is flexible and will give the bride and groom many ideas, plus advice based on our experience and knowledge of Crete and its people. Whatever you would like we would love to hear from you to discuss your special day. Flowers for venue decoration, wedding car, bridesmaids etc.